Amidst the general tales of woe and bankruptcy the chances of seeing the German Grand Prix return to the Nürburgring in 2013 have been given a boost thanks to an offer of assistance from Bernie Ecclestone. Eccelstone has agreed to waive the usual race sanction fee to ensure the Nürburgring is on the 2013 F1 calendar. But, in a typically shrewd move, Bernie wants the right to claim all the revenue from the race in return. However, that’s no guarantee for the Ring. 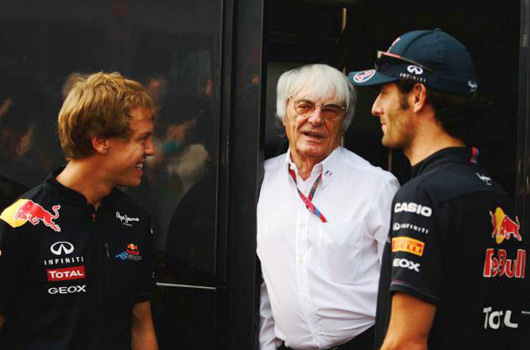 “If it’s not possible, we will talk to Hockenheim to see if they can do it,” Ecclestone added.